Here is a painting I finished today, “Pathways at Versailles.” Its an oil on panel 8″ by 10″ painting and is inspired by a trip that I took to France and had the chance to visit the gardens at Versailles, the most beautiful gardens I have ever seen. The formal gardens were just one aspect to the magnificent grounds. There are so many things I love about this video. The artistry, storytelling, feeling of mystery and enchantment, and luxury all pull you in. Enjoy this fashion/beauty piece by Christian Dior–ladies let it inspire you be alright with feeling fabulous and not apologize for it! 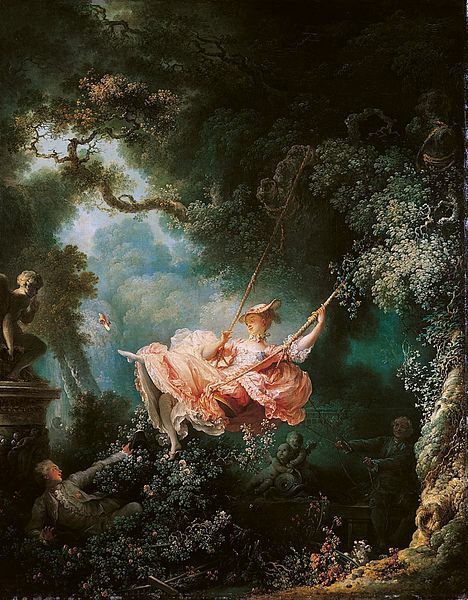 The video reminds me of an art piece I love–by Fragonard. It’s called The Swing. I think it’s easy to see the connection in the feel of Dior’s Versailles collection and Fragonard’s vision. It’s no coincidence that Dior and Fragonard are both French.